Trands 3.5mm 2 male to 2 Female Headphone Jack Socket Audio Adapter. Converter converts the dual socket audio jack from an airplane to a standard 3.5mm for use with headphones and earphones. 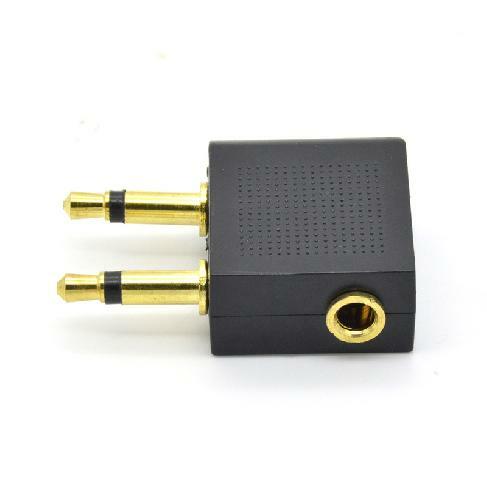 High quality gold plated audio adapter, which have excellent signal transfer. Use the Airline adapter to connect your own headphones to the in-flight entertainment system on the airplane for listening music and watching movies.